The Japanese yen fell against majority of its most-traded peers today due to risk appetite prevailing on markets. Disappointing inflation report was not helping the currency either. Japan’s core Consumer Price Index, which excludes fresh food, rose 0.7% in December from a year ago. That is compared to the increase of 0.9% registered in November and 0.8% predicted by analysts. Excluding both fresh food and energy, the index rose just 0.3%. Seasonally adjusted industrial production fell 1.0% in November from the previous month. Still, it was a bit better reading than the average forecast, which promised the same 1.1% drop as in October. Asian markets rallied after the report from Wall Street Journal that US Treasury Secretary Steven Mnuchin proposed to lift some or even all additional tariffs on Chinese imports to facilitate trade with China. US officials quickly denied any plans for a tariff rollback, but that did not hurt traders’ optimism. 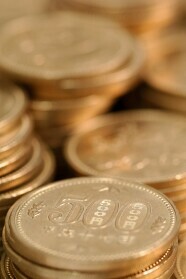 USD/JPY gained from 109.24 to 109.46 as of 10:29 GMT today. EUR/JPY advanced from 124.40 to 124.81. CHF/JPY rose from 109.86 to 110.09.